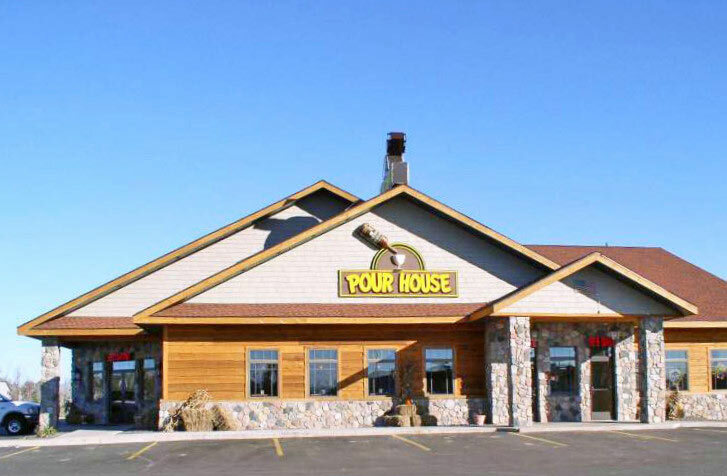 The original Pour House was destroyed by the Siren tornado of 2001. The physical and emotional rebuilding of Siren was fostered by community members like Pour House owners Greg and Sue Hunter. The layout of their new restaurant, bar and liquor store encourages efficient workflow for employees staffing multiple areas and effective separation of family and adult spaces for clientele.